I don’t remember having much fun playing with Barbie Dolls. Instead, I read comics and collected trading cards. I was probably 9-years old when my passion for X-Men really began. I was a little odd, being the only girl in my neighborhood with such an interest. This fact didn’t stop me from religiously visiting the comic book store every weekend with my father. This was actually my favorite pastime. Not a very verbal person, he would light up when he saw new books. He was especially happy to see my joy of looking at the pretty pictures of superheroes and villains. After a few years of collecting X-Men, I began fantasizing about a movie being released. I was already watching the X-Men cartoon on Fox Kids, so I figured that dreaming about real humans playing these magnificent characters was not too far fetched. A big fan of B movies, and a product of the my times, I cast Arnold Schwarzenegger and Jean Claude Van Damme in my mind. They had power and could fight really well. They didn’t speak too much, or spoke cryptically, so they'd fit the roles of major X-Men characters perfectly. I thought that Arnold would play Juggernaut and Jean Claude would play Wolverine. Strong, beautiful, and physically muscular, Angela Bassett would be cast as Storm. The only character I correctly guessed was Patrick Stewart as Professor X. With his wisdom, confidence, and matching physical profile, who would have guessed differently? In retrospect, I loved X-Men because the mutants, who were social outcasts, loved humanity despite itself. They worked tirelessly to show compassion to humans who had little regard for their safety and well being. The X-Men demonstrated values of integrity, acceptance, and respect for their neighbor. These principles are what made comic book reading so engaging and rewarding for me as a child, no matter what critics might have said about their irrelevance as learning tools. When the first X-Men movie was released, it felt like Christmas. I was in high school. I had big hopes for this film, and they were mostly met. Seeing the personalities of these superheroes that I could only imagine in my mind was so refreshing and inspiring. My only disappointment was the casting of Halle Barry as Storm. She felt so apologetic. The Storm I knew from the comics was bold, outspoken, and commanded the respect of even Cyclops, the team leader. It's been a while since I've picked up a comic, let alone an X-Men book. I imagine that so much has changed in the continuity. 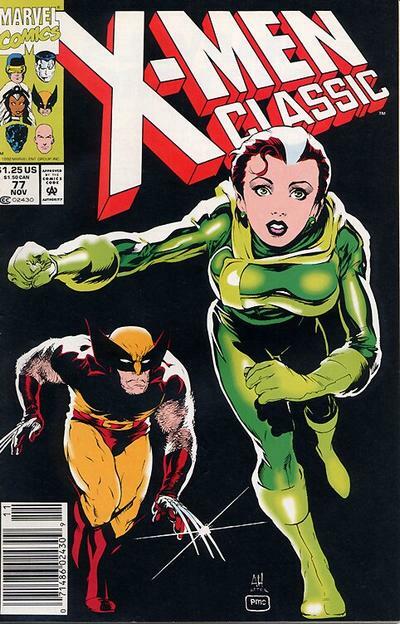 While my fascination with characters like the Beast and Jean Grey didn't carry on into my adulthood, X-Men will always hold a dear place in my heart. I'll continue to see any new X-Men movie that comes out (e.g. The Wolverine). I'll cheer whenever I recognize a plot line that brings back childhood memories. I am and will forever be an X-Men fan-girl.